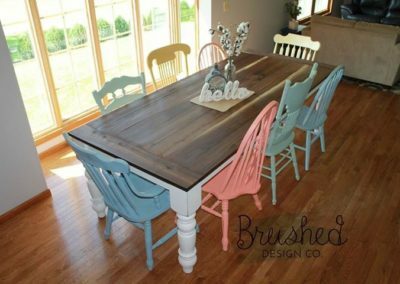 DIY Farmhouse Table and Chairs - Brushed Design Co. 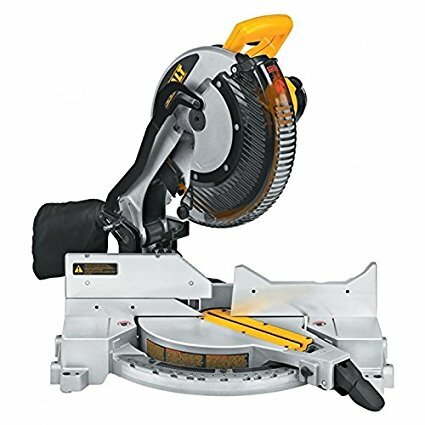 Build your own Farmouse Table! Farmhouse tables are HUGE right now. They can be made hundreds of different ways to suit nearly every taste and style. 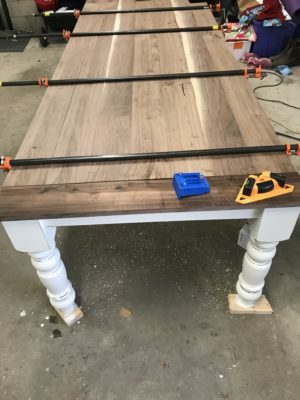 I just finished up my own 8 foot farmhouse table and I am in LOVE with it. I had the black walnut top custom cut from walnut trees right here in Minnesota and the color is beautiful! Not a drop of stain was added to get this gorgeous finish! The first thing you need to do is assemble your base. 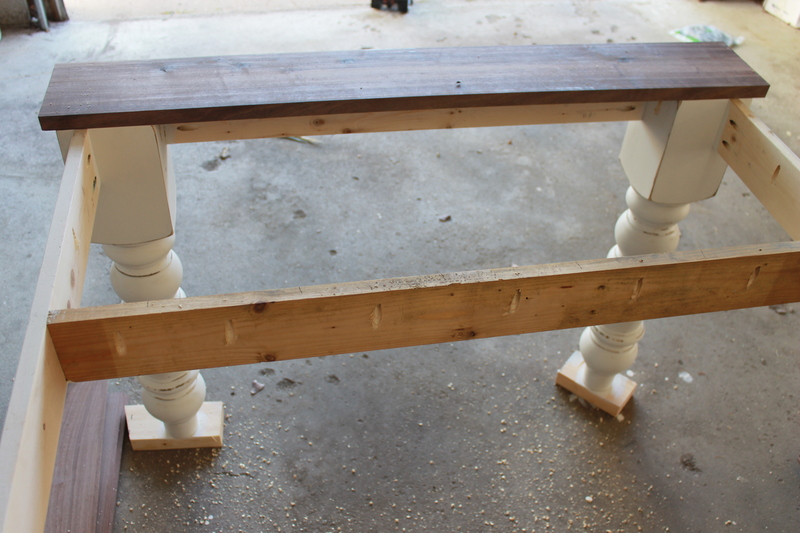 I ordered these Husky Dining Table Legs from Osborne Wood Company and they are perfect for this farmhouse table. 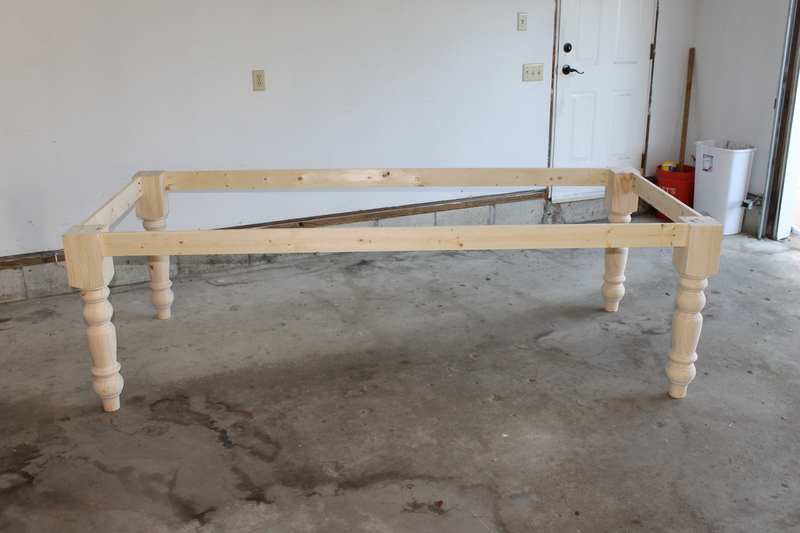 I planned on painting the table base, so I used table legs made out of pine as it is the least expensive option. 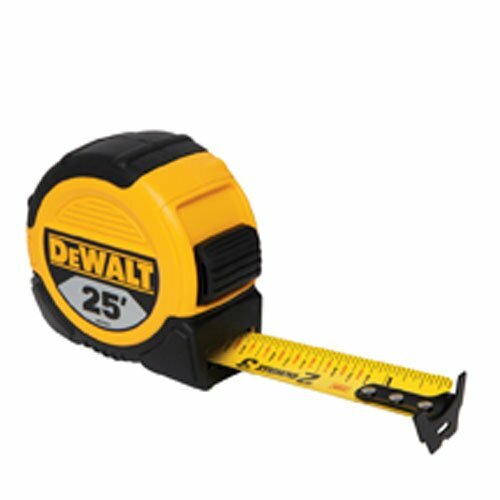 You can use any style legs, but be sure to adjust your measurements based off the size of the square. These husky legs have a 5 inch square. For an 8 foot long table, you will cut your apron boards at 84 inches and 25.5 inches. Mark 1 inch in on your leg squares. You will line up your apron boards on this line. 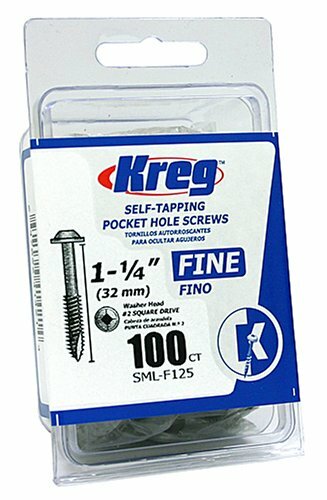 For drilling in 1x4’s, you want to set your kreg settings to 3/4. 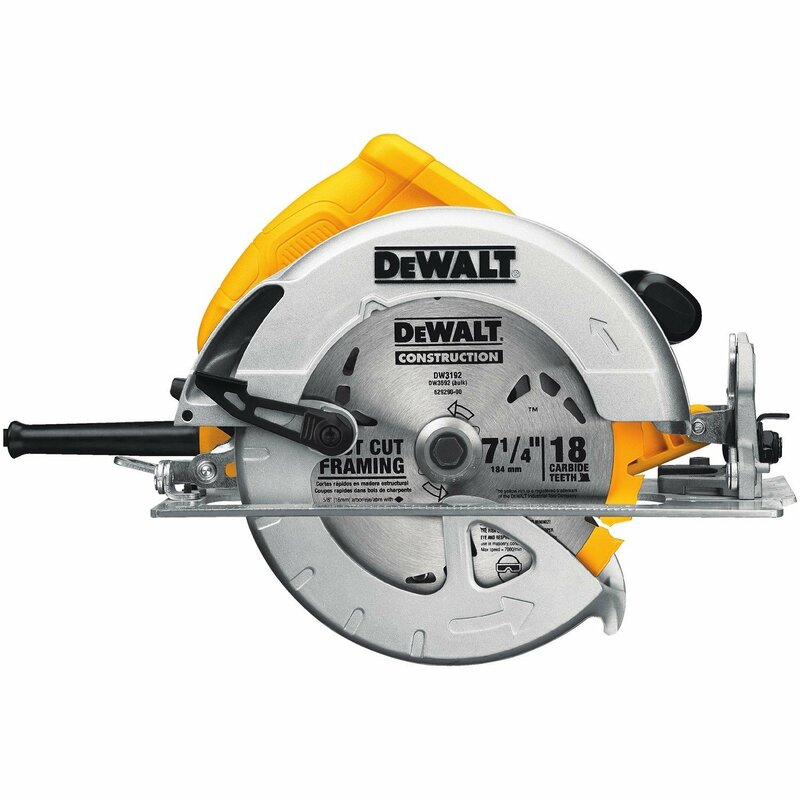 1x4’s actual thickness is 3/4’s of an inch. 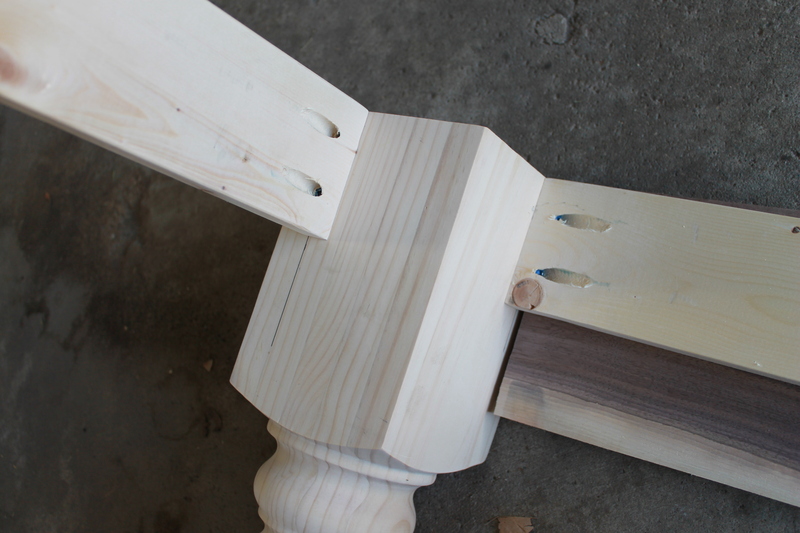 Drill two pocket holes in each end of your apron boards to attach to the table legs with 2 1/2 inch kreg screws. After I had the base built, I chose to paint the base before I continued on building. 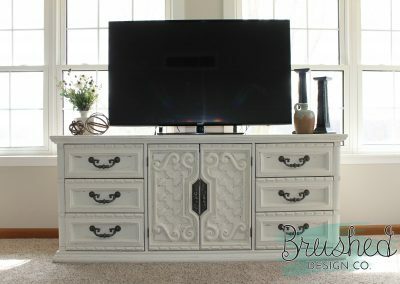 I chose Fusion Mineral Paint’s Raw Silk, which is a creamy white with grey undertones. Knowing I wanted to distress the base, I used dark walnut stain on the pine where I would distress the paint. I did this so that my distressed spots matched the boards of the black walnut top. Next you will need to drill 7 pocket holes across each brace, spaced one pocket hole for each board. 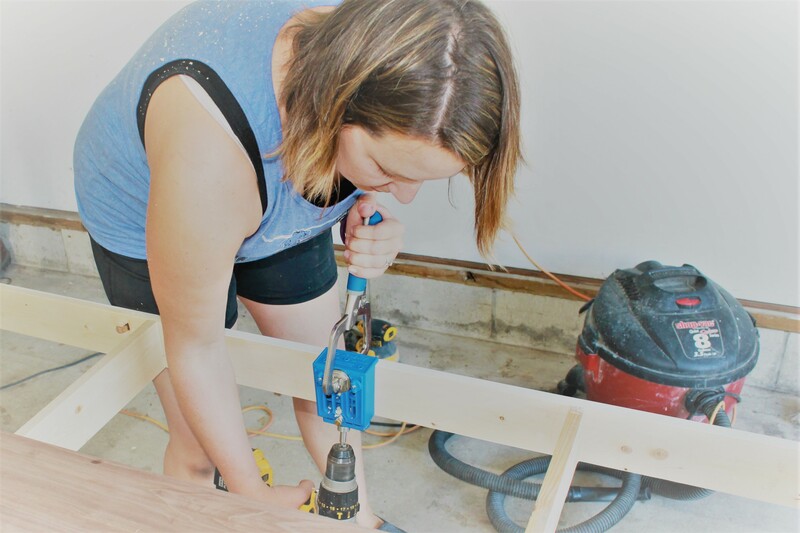 You will also drill pocket holes around the long frame boards in between each brace. Then, drill 3 pocket holes on the short frame boards and 1 on each leg square. These will attach your end boards. Lastly, drill one pocket hole in each end of the long boards for the top. 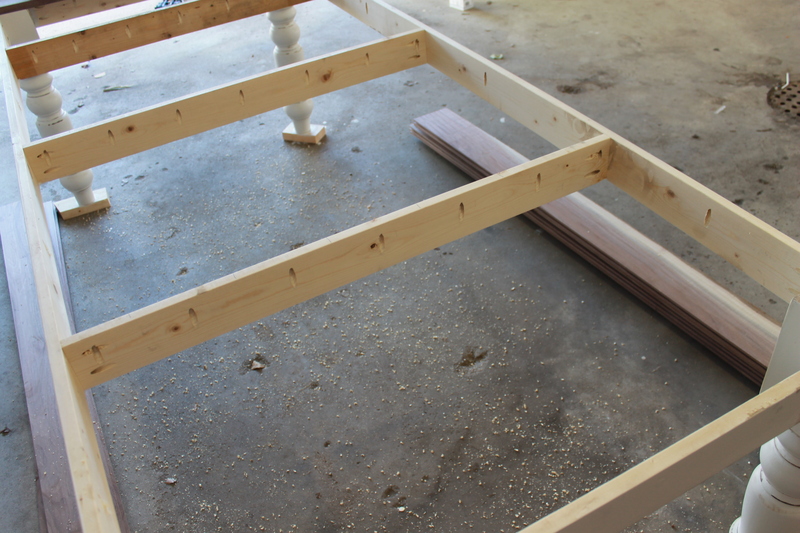 Now that the frame of the base is built, you will need to add three braces inside the frame. For this you’ll use 33.5″ 1x4’s and space then evenly inside the frame. 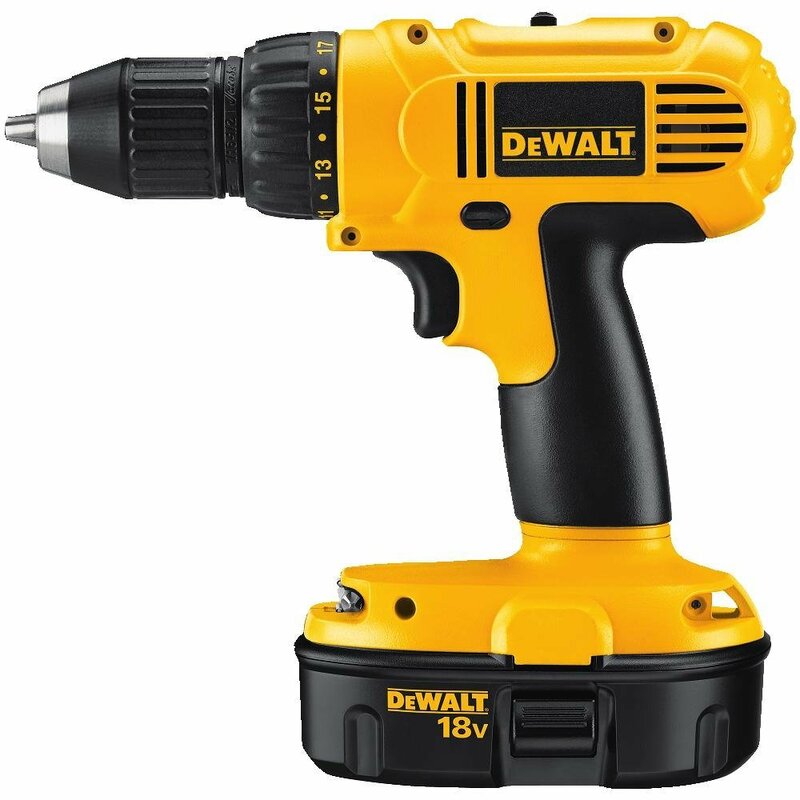 Just as you did with your apron boards, drill two pocket holes in each end. 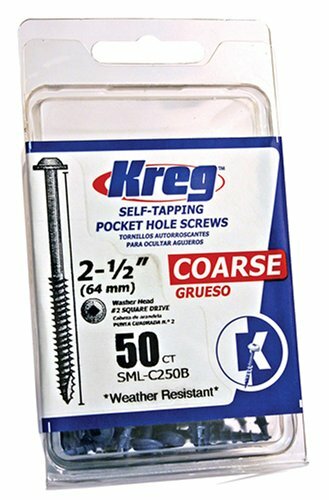 You will attach these boards with 1 1/4″ kreg screws. Now the fun part! Put this baby together! 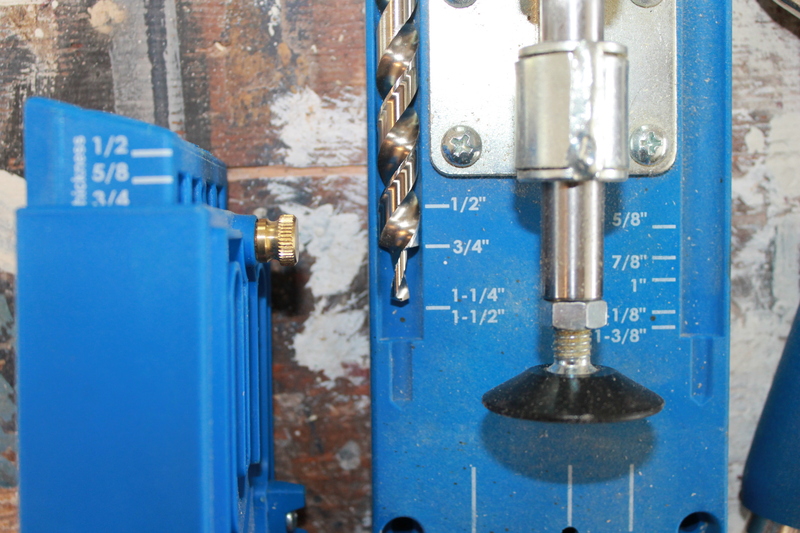 Using your 1 1/4″ kreg screws, begin attaching your boards. 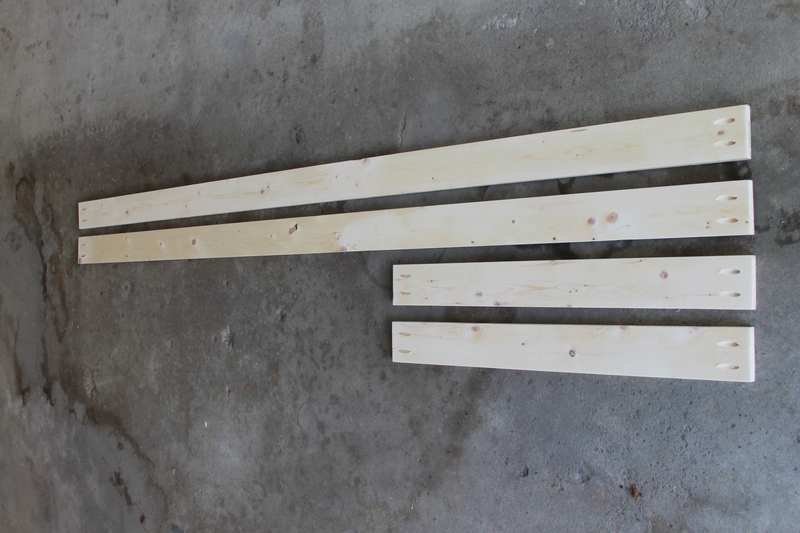 First attach one of your 38.5″ 1x6’s as your end board, and then begin attaching the 91.5″ planks. 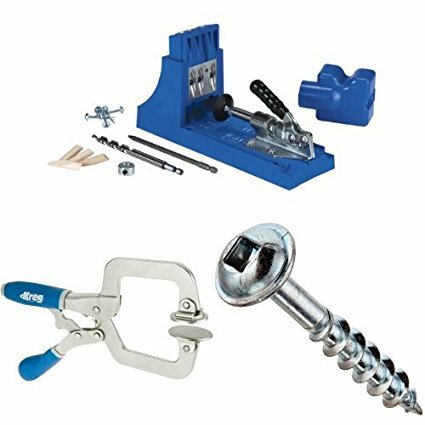 Attach each board one at a time and use clamps to keep the boards tight together as you attach with the kreg screws. Remember to attach your long boards to your end piece as well. 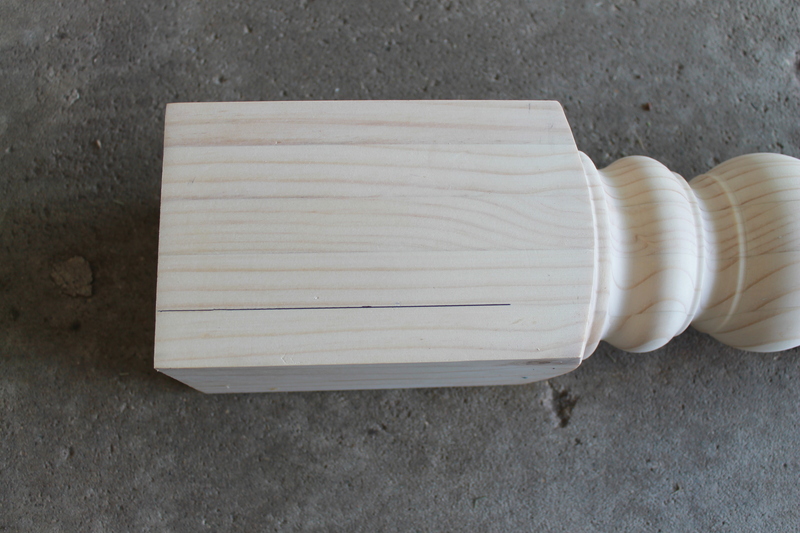 Once all your long boards are attached, finish up by attaching your final end piece. I used black walnut boards for the top so I did not need to add any stain. You can use any species of wood for your top, but I recommend using a type of hardwood. To seal the top, I wiped on 3 coats of clear shellac. Shellac dries very quickly, so work fast and try not to go over your application spots. Shellac is a great option for table tops as it is a food safe, non-toxic product but it is quite glossy. After the shellac had completly dried, I gave it a light sanding with 400 grit sandpaper and then applied a layer of hemp oil. 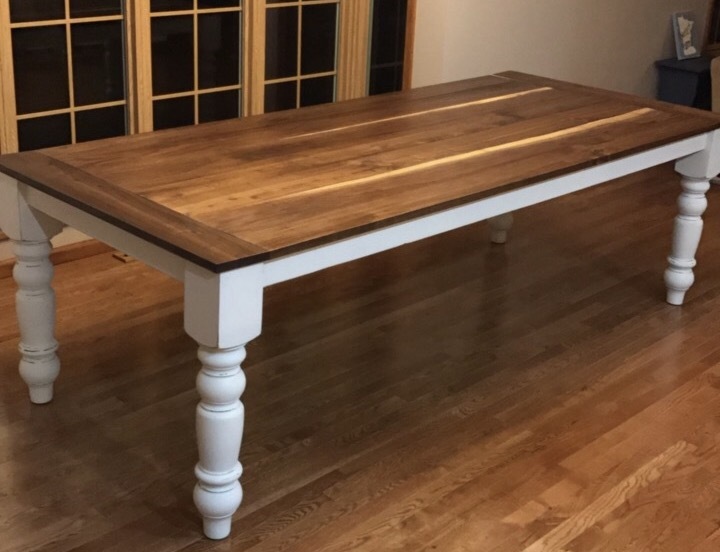 There are many other products you can use to seal your table such as tung oil, polyurethane, and brushing lacquer. Everyone has the personal preference when it comes to clear coats and all of these choices will work great for a table top. Choose what works best for you! 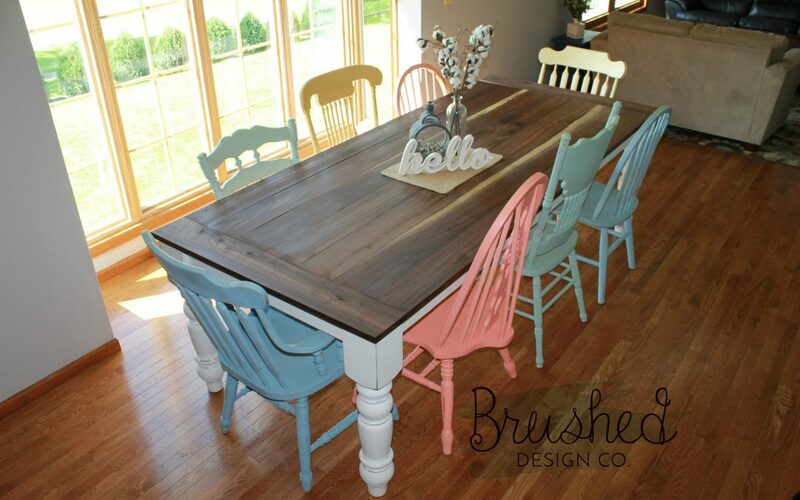 Add chairs or benches to your beauitful new farmhouse table and enjoy using it! This sturdy table will cost you MUCH less than a new table of lower quality from a store and will outlast those tables by many years! 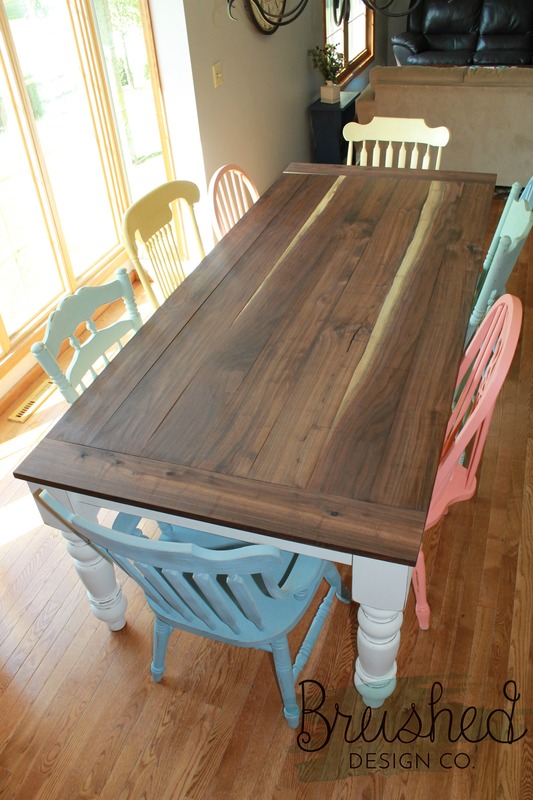 See how I created these fun farmhouse chairs by clicking here! 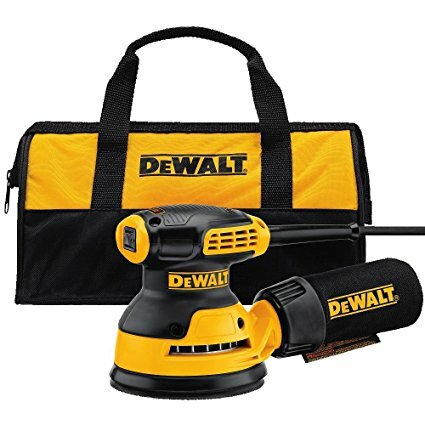 Disclaimer: This post includes affliate links for certain products. While I do not represent these products, I do recieve a small commission from purchases made from these links. 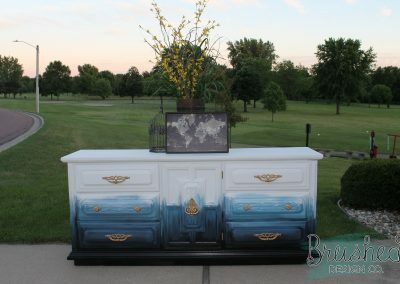 See more projects like this one!